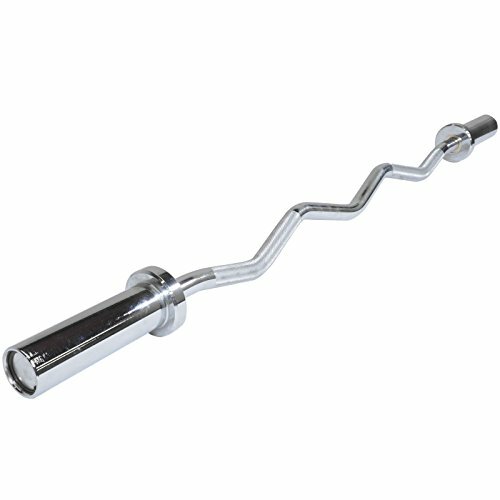 The 4' Standard Curl Bar from WALLER PAA Fitness is designed to give your biceps and triceps the ultimate workout. The angled grip section allows you to change your hand position to target different muscle groups. Built with over a foot of space to handle one inch standard weights. - Compatible with the Titan Adjustable Dumbbell sets. - Knurled hand grips: 7 1/2"
The 4' Standard Curl Bar from WALLER PAA Fitness is designed to give your biceps and triceps the ultimate workout. The angled grip section allows you to change your hand position to target different muscle groups. Built with over a foot of space to handle one inch standard weights. If you have any questions about this product by nobrand, contact us by completing and submitting the form below. If you are looking for a specif part number, please include it with your message.